Alloys are technically solid solutions consisting of a metal and at least one other element. In the microstructure of an alloy, the component elements may or may not be homogenously distributed, and the crystal structure may vary throughout the material, or may be consistent, depending on the thermal history of the material. In contrast, in intermetallic compounds, the different elements have designated spots within the microstructure of the material, and the material exhibits a well-defined stoichiometry. Intermetallic compounds are frequently grouped with and referred to as alloys. Both alloys and intermetallics can exhibit a wide range of properties depending on material composition and processing. Cold working processes are used to alter the shape or size of a material by plastic deformation. Methods applying a cold working process include rolling, drawing, pressing, spinning, extruding and heading. Rolling is a metal forming process involving passing metal through rolls to reduce the metal thickness or make the metal surface and structure more uniform. A number of heat treatment methods are used to modify metal alloys depending on the specific base metal and application. Common methods include annealing, tempering and quenching. Annealing involves heating metal alloys above the critical temperature followed by slow controlled cooling. Annealing is commonly applied to ferrous alloys in order to produce a uniform material microstructure. Tempering is frequently applied to steel and involves heating the steel below the alloy’s critical temperature in order to enhance strength. Quenching cools the metal alloy at a rapid rate producing a harder metal in ferrous alloys and a softer metal in non-ferrous alloys. Heat treatment processes are also used to increase strength and hardness of heat treatable alloys. The heat treatment of aluminum alloys involves three steps: (1) solution heat treatment resulting in dissolution of soluble phases, (2) quenching to the point of super-saturation, and (3) age hardening to precipitate solute atoms at ambient or other temperatures. Electroplating or electro-deposition is the process of applying a thin layer or plate of metal onto an electrically conductive surface. Electroplating is often a finishing process for a given product. For example, depositing a corrosion resistant metal alloy, such as zinc-based alloys, onto a metallic surface can give the finished product corrosion resistance properties. Thermal spraying is a process used to deposit metallic or non-metallic materials as liquid droplets or molten solid particles onto a surface to create a coating. Thermal spraying is used to protect materials from wear, friction, and corrosion as well as to enhance a variety of material properties such as strength, hardness, heat resistance, and oxidation. Steel is composed of iron alloyed to carbon with the addition of other elements that provide a variety of properties to the finished product. The carbon content of a given steel must be more than 0.002% but less than 2.1% by weight. Pure iron without the addition of carbon is too soft and ductile to be useful for most applications, while concentrations about 2.1% produce an alloy that is brittle and impractical to work with using conventional metalworking techniques. Additional elements added to steel alloys include chromium, silicon, boron, nickel, molybdenum, vanadium and manganese. Alloy steels are divided into two groups: high alloy steels and low alloy steels. High alloy steel refers to steel alloyed with more than 8% of its weight comprising other elements besides the base iron and carbon. Low alloy steels are modified by additional elements to enhance corrosion resistance, toughness, and durability. Stainless steel is the most common alloy steel comprised of 10% chromium. This steel alloy is known for its resistance to corrosion, oxidation and staining. Cast iron is a form of iron alloy that has been heated until liquefied, and then poured into a mold to solidify. It typically contains slightly more carbon than steel (2.1-4%) and 1-3% silicon, and additional elements may be added to alter the properties of the material. The addition of manganese and/or magnesium can increase the ductility of cast iron, while the addition of nickel increases strength and resistance to heat and corrosion. Bronze is an alloy comprised of copper and one or more additional elements included to increase the material’s hardness—most often, this element is tin. Varying compositions of the two metals can be used produce bronze, however true bronze is considered be comprised of 90% copper and 10% tin. Additional elements including lead, arsenic, phosphorous, and manganese are added to produce bronze with specific properties. Brass is an alloy comprise of copper and zinc, the compositions of which can be varied to alter the properties the final material. It exhibits a gold-like appearance, low metal-on-metal friction, and excellent acoustic properties, which lend it to use in decorative applications, locks and gears, and musical instruments respectively. Additionally, brass will not produce sparks when struck against a hard object, and is therefore used in fittings and tools in the vicinity of explosive gases. Precious metal alloys are contain gold, silver, platinum, palladium, or iridium. These metal alloys are frequently used in coinage, decorative objects and fine jewelry. Several examples of precious metal alloys include sterling silver, titanium gold, and colored gold. Sterling silver is a blend of 92.5% silver and 7.5% by mass of other metals often copper. Sterling silver is used in decorative objects and jewelry. The alloy provides strength not found in pure silver however may be less prone to the effects of oxidation such as tarnish and corrosion. Titanium gold is used in dentistry, ceramics, and jewelry. Colored gold can appear in white, reddish hues, green, grey, purple (intermetallic treatment with aluminum), blue (intermetallic treated with indium), and black (surface treatments or potassium sulfide treatment). The liquid metal mercury is capable of dissolving many other metals to form amalgams, which may be soft pastes or liquid at ambient temperature. Amalgams are sometimes used for dental fillings, and additionally can be used in plating applications, as the amalgam can be applied to a surface and the mercury evaporated away, leaving a thin coating of the other component metals. 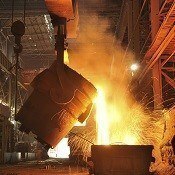 Refractory alloys have high heat resistance and hardness properties. Five elements frequently found in refractory alloys include niobium, molybdenum, tantalum, tungsten, and rhenium. Common features that are shared among these metals are a melting point over 2000°C and high hardness at room temperature. Due to their high melting points, these metals are creep resistant at high temperatures. Niobium and tungsten are frequently used for high temperature applications such as weaponry, rocket nozzles and nuclear fuel rods. Molybdenum is another refractory metal alloy often used in high temperature metalwork associated with construction and manufacturing processes. Metal alloys exhibiting low melting points include fusion alloys such as lead, tin, cadmium, indium, and bismuth-based alloys. Lead and tin based alloys are frequently used in soldering applications. Shape memory alloys are alloys that "remember" their original shape. This property enables these materials to restore their original shape after heat induced deformation. Two common shape memory alloys are copper-aluminum-nickel and nickel-titanium alloys (commonly referred to as Nickel Titanium Alloy). Shape memory alloys have applications in the automotive, aerospace, biomedical, and robotics industries. Common products using shape memory alloys include piping, pneumatic systems, actuators, and medical devices. Heat treatable alloys are classified depending on their specific phase change behavior as eutectoid, hypo-eutectoid and hyper-eutectoid alloys. These alloys are heat treated for the purpose of changing their mechanical or physical properties. Common heat treatable alloy systems include aluminum alloys and iron-carbon alloys. Fusible alloys are easily melted at low temperatures. This class of alloys is often described to have a melting point below 150°C. This shared property makes fusible alloys ideal for soldering applications. Magnetic alloys are capable of producing magnetic fields for a continuous period of time at ambient temperature. There are three primary magnetic elements including iron, nickel, and cobalt. Rare earth metals can also produce alloys with permanent magnetic properties. Several examples of magnetic alloys include nickel-iron (Permalloy), samarium-cobalt (SmCo), neodymium-iron-cobalt, neodymium-iron-boron (NdFeB), and aluminum-nickel-cobalt (AlNiCo). Permalloy is a magnetic alloy comprised of approximately 20% iron and 80% nickel commonly used as a magnetic core in electronic equipment and as a shield in magnetic shielding applications. Magnetic neodymium alloys, primarily composed of neodymium iron boron and have the highest strength-to-weight ratio of any available magnets. Neodymium magnets are therefore used in a number of applications such as electric motors, NMR spectrometers, magnetic resonance imaging (MRI), and loudspeakers. Samarian-cobalt alloys produce magnets second in strength to neodymium magnets but with greater resistance to demagnetization at high temperatures, making samarium-cobalt magnets the material of choice in higher temperature applications. Thermoelectric alloys are capable of directly converting temperature gradients to electrical voltage and vice versa. This property is useful in applications such as in power generation and in refrigeration. Bismuth telluride is a common thermoelectric alloy often used in combination with either antimony or selenium. Resistance alloys are highly resistant to heat and heat induced oxidation. These alloys are used in applications requiring resistance to corrosion and frequent exposure to high temperatures. A common resistance alloy is nickel-chromium alloy providing high heat resistance, high oxidation resistance, and strength. Industrial furnaces operate at high temperatures and therefore require components and equipment to withstand these temperatures, thus making resistance alloys ideal for such applications. Master alloys are frequently referred to as grain refiners or hardeners and are used as raw materials in metallurgy and product manufacturing. Common master alloys include aluminum-, titanium-, copper- , lead-, nickel/cobalt/iron- and zinc- based master alloys. Master alloys are utilized in industrial furnaces, aerospace components, military hardware and medical implants. Superalloys exhibit high mechanical strength and creep resistance, even under extreme environmental conditions. These alloys are used in applications where materials are exposed to high temperature for extended durations such as in aircraft engines, turbines, and chemical processing plants. Nickel-based superalloys, for example, are commonly used in gas turbines, nuclear reactors, and jet engines. 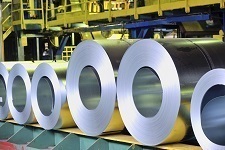 Common superalloys include Hastelloy 276, Hastelloy X, and Inconel 718. Type metals or hot metals are alloy metals consisting of lead with antimony, tin and copper. The alloy was used in type molds for typesetting to enable a fine and clear impression of a mold, and remains in use for some specialty metal casting applications. An amorphous metal alloy, commonly referred to as a metallic glass or glassy metal, has a disordered structure on an atomic scale, rather than the crystalline structure more typical of metals. These are typically produced through extremely rapid cooling which locks the material into a solid state before crystal structures are able to form. Bulk metallic glasses are alloys that have a critical cooling rate low enough to allow them to take on an amorphous structure even when formed in thick enough layers to produce functional objects rather than just coatings. These materials are ideally suited to casting, as unlike crystalline metals they retain good properties following casting, exhibit almost no shrinkage during cooling, and can be manipulated for casting through similar processes to those used for thermoplastics. Amorphous materials typically have higher strength than crystalline materials of the same composition. American Elements manufactures a comprehensive catalog of alloy materials in numerous forms and compositions. Above is a selection of offerings from the AEAlloys™ line; you may also request a quote directly for a material. We custom manufacture all materials to customer specifications for shape, size, purity, composition in all amounts including bulk quantities. Construction and manufacturing processes such as high temperature metalwork including brazing and welding require robust materials with high melting points and strength. Refractory metals including molybdenum, tantalum, and tungsten are suitable for metal working applications and furnace technologies. Molybdenum is commonly used in structural tubing, piping and stainless steel. Manufacturing processes such as those for circuitry components incorporate soldering to fuse metals. Soldering is achieved at lower temperatures between 90-450°C. The process requires low melting point metal alloys such as fusible alloys. Aircraft and automobile engines require materials that can withstand high temperatures and retain structural stability. Refractory alloys are used in aerospace applications and engine components. Alloys are also finding use in lubricants as a means to reduce friction. Greases, lubricants and oils used to protect vehicle engine and structural components have found uses for alloys. For example, the no-friction properties of molybdenum have made the alloy a common additive to these products. Recent focus on increasing fuel efficiency has motivated the automotive industry to use lighter-weight alloys in the construction of frames and to develop new alloys for this application. Shape memory alloys are frequently used in biomedicine including in fixation devices for orthopedic procedures and in orthodontic devices such as braces. Shape memory alloys may also be used to produce stents, which often use nickel titanium. The defense industry has incorporated numerous alloys into armor, ordnance and ballistics devices. Higher melting points are generally required for defense applications. Therefore refractory metals are frequently used in missiles and other weapon projectiles and rocket nozzles. For example, niobium and tungsten have been used in space exploration components such as rocket nozzles. Nanotechnology is finding many uses in alloys as nanomaterial additives can be added to alloys to provide enhanced properties such as strength and oxidation resistance. Due to high heat resistance, refractory alloys are particularly useful in lighting applications. Tungsten and its alloys are commonly found in industrial lighting as arc lamps as electrodes, and in a majority of household incandescent lighting as filaments. The unique conditions within and around a nuclear reactor require a variety of specialized materials. High temperatures frequently require refractory alloys for structural components of the reactor. Nuclear fuel rods are often covered in cladding, a metal coating which contains the fuel and must be both resistant to corrosion and have a low absorption cross section for thermal neutrons. The most common cladding material in modern reactors is nuclear-grade Zircaloy, which consists of more than 95% zirconium with small percentages of other elements added to improve mechanical properties. The zirconium used for nuclear cladding must be significantly more pure than conventional commercial zirconium, as the element hafnium, which has a very high absorption cross section for thermal neutrons, is a common zirconium impurity. Specially formulated steel may also be used as a cladding material, and some older reactor designs still use the magnesium alloy Magnox. Finally, control rods in nuclear reactors contain materials that can absorb a large amount of thermal neutrons without fissioning. Silver-indium-cadmium alloys may be used for this purpose, as may alloys or compounds containing boron, hafnium, cobalt, or any of the naturally occurring rare earth elements.